Kenny Cupers was trained as an architect, but his career has since evolved towards investigations into architectural history and postwar urbanism. Here he tells me why the suburbs of Paris hold so much fascination for him. “Whilst pursuing historical archival research for my dissertation (n.b. a Ph.D. in Architectural History at Harvard), I lived in Paris from 2007-2009. During that time I visited dozens of housing projects and suburban neighborhoods and took thousands of photos” explains Kenny. He comes back to the city regularly, and will once again be found in the Paris suburbs this summer. 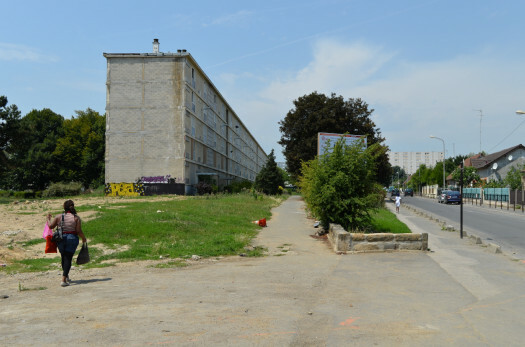 His current project is a challenging one - a monograph on the history of French mass housing. But why is he interested in the developments of this region over others? Although the Paris suburbs have achieved a certain notoriety in recent years, for Kenny, all is far from being negative. 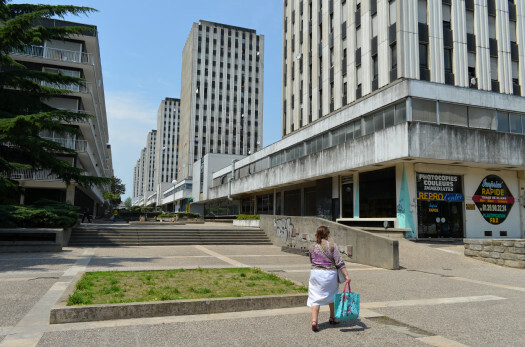 Typically portrayed as a series of concrete high-rise blocks, the reality, as Kenny explains in a recent Design Observer article, is far more varied. “In the course of many visits I've found neighborhoods struggling with poverty, crime and social conflict; but I've also found urban centers brimming with energy and quiet residential quarters dotted with leafy parks and sleepy squares” he points out. In this article, Kenny Cupers described these many developments as Life Forms, but what does he mean by this phrase? His photos are also a reflection of this variety, and rarely feature the standard tower blocks. 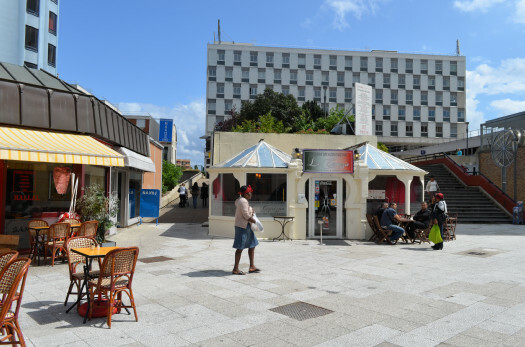 Instead, Cupers highlights colour and humour, architectural playfulness and functional public spaces. Most of all, his photos almost always feature people, all of whom are ordinarily going about their lives. Kenny Cupers describes his project as being a search for “neither a past utopia nor contemporary dystopia — but rather the more nuanced realities of ongoing modernity”. 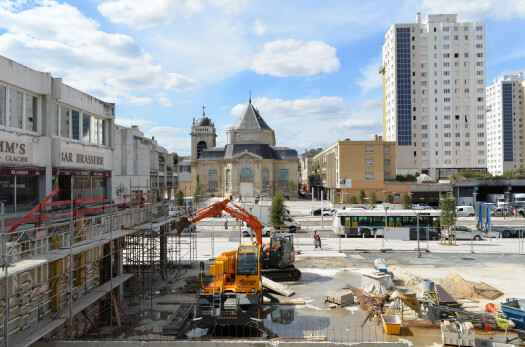 How does he see the future of these areas though, particularly with the current move towards a Grand Paris that could – and should – finally incorporate the city’s suburbs? Read Kenny Cupers Life Forms article in the Design Observer here. The article also includes a slideshow of his work, from which several photos - which Kenny kindly gave me permission to reproduce - appear in this post. Recently when I visited Paris, this app helped me out so good in Paris, you should check this out! Its an offline Metro RER map so I saved pretty much on Taxi and got lotta info on Tourist Places! And its really a cheap app too!!! 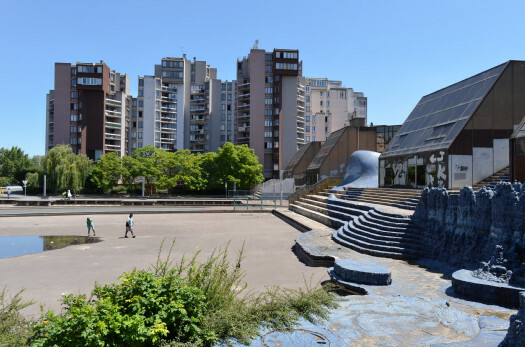 Interesting to see different, positive and negative aspects on the suburb architecture, which actually to some extent can be found also inside the Paris borders. Thanks! I am lucky to have found such great sources!!!! I love your posts as well!